The lucrative design of this pillar clock makes anyone ponder over it for a while. It is installed within the carved makrana marble and is Read More..sculpted beautifully with kundan work. Gold leaf painting further caters to the classic design of this pillar clock. the round clock and the pillar are two distinctive pieces. 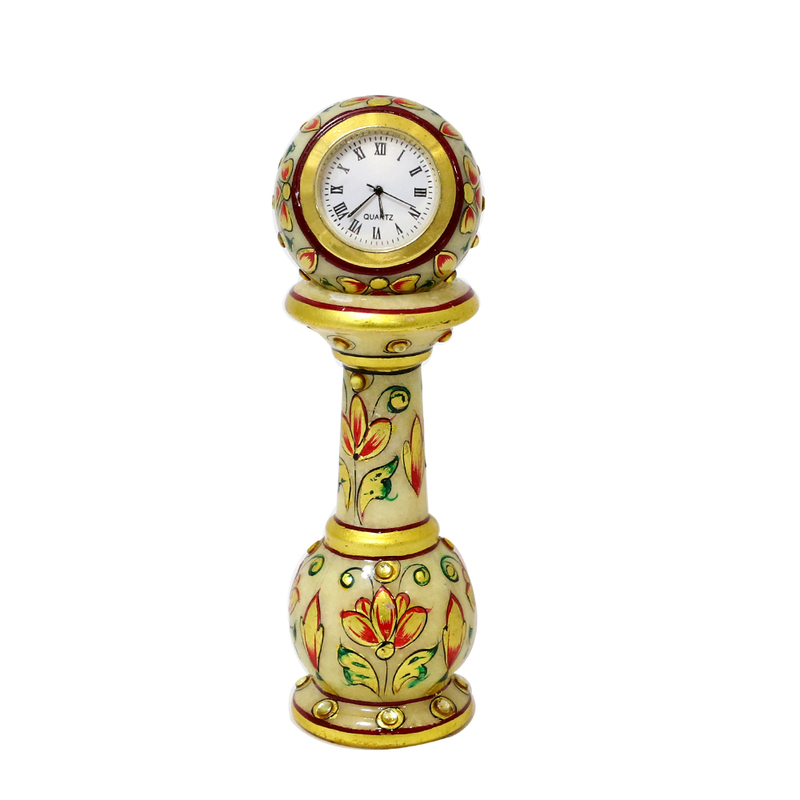 pillar comes in vase shape and clock in the form of a round ball. the multicolored watch will definitely bring colorful days to your life. Show Less..